On the 12th Day of Christmas, my true love sent to me a whole Plate of Traditonal Mince Pies. That is something I think today’s Author would say about this truly British Christmas Tradition. No where else had I encountered Mince Pies before except in Britain. There are available store-bought but come on they are never as good as the actual real thing – HOMEMADE. Hello! I’m Daisy and Prettygreentea is where I document my life, travels, and love of independent businesses. I love traveling, gin and photography. I had the pleasure of meeting Inka earlier this year at the Traverse conference in London. We met on the very last day at the closing party and hit it off straight away! I’m delighted to be a part of this round-up of recipes and traditions from around the world. What makes Christmas special too you Daisy? I adore Christmas. It’s the on time in the year that everyone is off at the same time. I love getting together with my family, cooking a tasty dinner and going out for long walks in the crisp winter air. It’s even better when it’s snowing. I look forward to making Mince Pies every year. They always go down well and are the perfect treat with a glass of mulled wine. Today I’m sharing a classic recipe which is quick and easy to make. 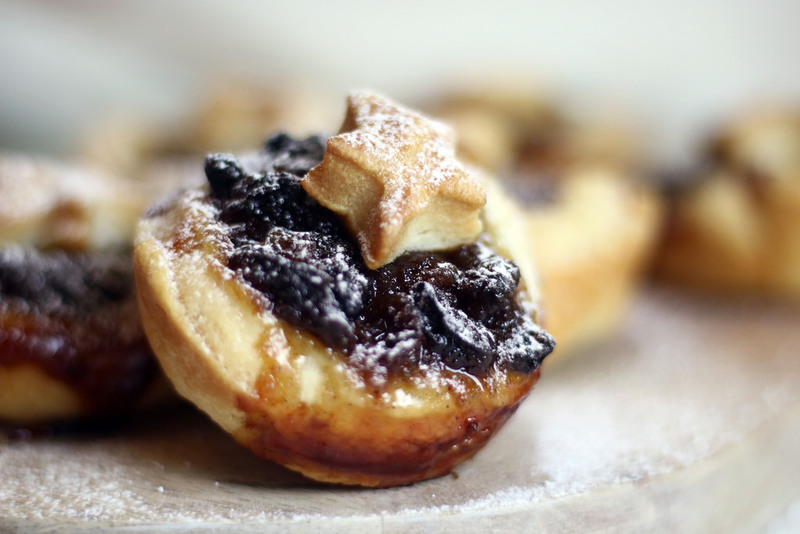 It can be made with shop-bought pastry and mincemeat. Pick out the best quality you can and if you fancy getting creative try adding in apple, ginger and cranberries. -> Get the RECIPIE over at DAISY ! Have you ever tried traditional Mince Pies? I might just be tempted myself.